A mi no me desagradan los nuevos oscuros y por el precio que tienen pues es para pensarlo. Lo vi ayer en un grupo de FB y no me termina de convencer, aunque no es horroroso. Habrá que ver como lo comercializan, porque en la foto se ven 7 figuras diferentes (a no ser que el esqueleto tenga dos alternativas de montaje) y las matrices son de 6. Espero que no haya que pasar por FW para incluir las momias o el pack de ampliación para Nigros. Por ahí decían que como los esqueletos son más "finos" que hayan podido caber 7 en vez de 6. De esa manera tendrías 2 momias, 2 wights, 2 ghouls y 4 zombies y esqueletos. Me imagino que luego FW sacará los otros 2 ghouls y 2 zombies extras a precio de oro. 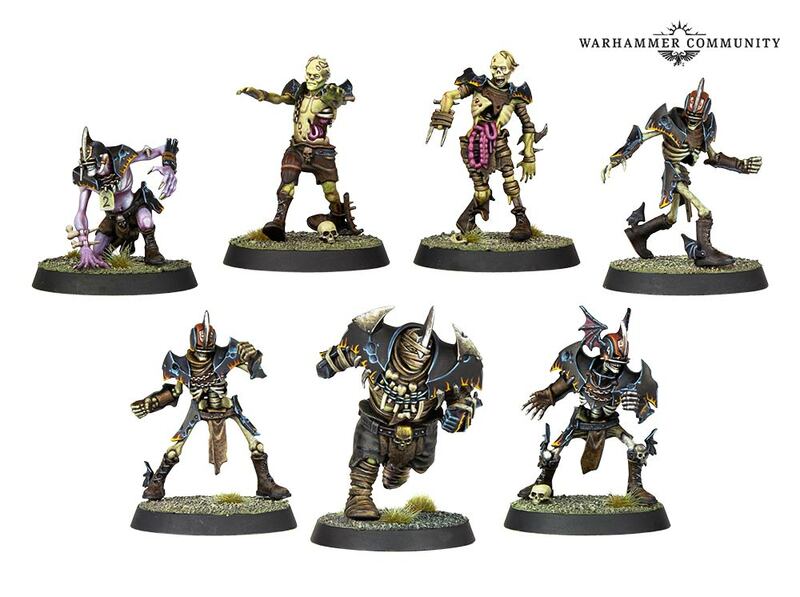 Probablemente no saquen expansión de 4 minis, si no el equipo nigromántico con 12 minis: 2 lobos, 2 golems, 2 necrófagos, 2 tumularios y 4 zombis. Así, tienes los 4 necrófagos, tumularios y zombis diferentes. Que son muuuuuuuy listos. Si sacan caja de 4 minis con necrófagos y zombis, entonces puede que saquen otra con lobos y golems. El tiempo lo dirá. Los goblins no cumplen lo de matrices de 6, son 4(+1) y 2, puede que otros equipos vayan por ahí, partiendo para cuadrar otros. O puede que hayan sacrificado alternativas para meter uno más. Segun https://www.youtube.com/watch?v=RUjVhMhTMW0 solo parece que haya alternativas para las cabezas de las momias. En la captura del final solo se aprecia ese cambio. Sobre lo de las momias corriendo... mejor no comment. Y supongo que habréis visto el nuevo sistema de pago de FW. ¿nuevo sistema de pago de FW? ¿ahora te permiten dejar un riñón como garantía XD? Cannonball escribió: ¿nuevo sistema de pago de FW? ¿ahora te permiten dejar un riñón como garantía XD? Ahora pagas en euros (o dólares o lo que te toque), y ellos deciden el cambio, como con los productos GW (pero partiendo de precios FW). Si tenías dinero en libras, te aguantas. La apisonadora enana sale a 48 euros, Morg 25 y otros tres 23 cada. Compara con los precios GBP y lo que calculé que saldría. Son +3, +1 y +2 euros. Puede que se compense con los gastos de envío (ahora fijos, en vez del 15%), pero no lo he calculado exactamente. Seguramente a los que fastidie será a los Kiwis. Steam Ball escribió: Y ya que miro, apisonadora 38, Morg 20, Griff, Zug o Varag 18 cada. Eso en euros son 45, 24, 21 redondeando (aunque a veces el cambio de moneda clava aun más). The team at Forge World make some truly amazing models – from gargantuan monsters and renowned heroes right up to the towering god-machines of the Titan Legions. Until now, though, getting ahold of these miniatures outside of the UK has not always been easy. While the Forge World website has long provided a wide selection of models to choose from – payment options have been limited, and the only currency anything could be paid for in was British Pounds. 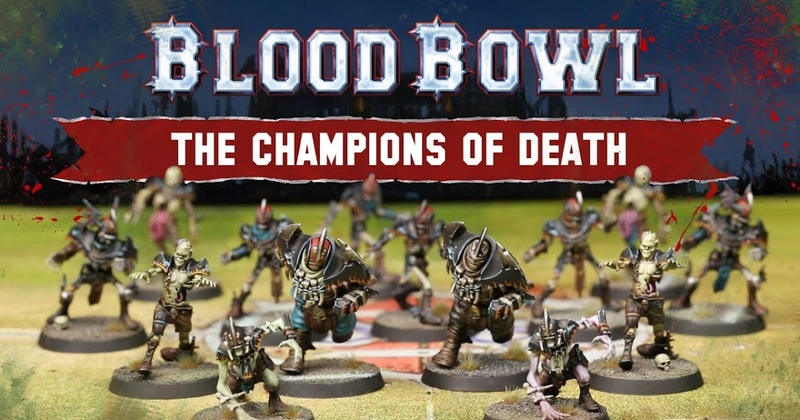 Added to that, shipping times, especially in North America, were often pretty long – and we understand that that can be frustrating when you’re eager to add that game-winning unit or centrepiece kit to your collection as soon as possible. Better Payment Options and Faster Shipping. You’ll soon be able to pay in your local currency, rather than having to use British Pounds. This is great news for anyone outside the UK, as it means you’ll be able to see far more easily what each item costs without having to run anything through a currency converter. And you won’t get hit with any surprise conversion fees that many banks will charge for shopping abroad. This also means that prices will be consistent instead of fluctuating with exchange rates – so that Primarch will cost you the same one day as the next. In addition, we’ll be expanding our payment options. Alongside the existing PayPal, credit and debit card payments – you’ll find new options for Discover in the US and American Express for US and Canadian shoppers, and a new ELV payment choice for customers in Germany and Austria, meaning that you have more options than ever on how to check out. And we have even bigger news for Forge World fans in the USA and Canada. As part of these service updates, we’ve been busy expanding our Forge World warehouse facility to the USA – Operation: Sector Munitorum Memphis. Soon, all Forge World orders to the US or Canada will ship out from our warehouse in Memphis, Tennessee. With the expansion of our warehouses, we’ve also taken the opportunity to make improvements to all our shipping processes. So wherever you are in the world, your Forge World orders will soon be shipping out to you faster than ever – with many orders on their way to you within a matter of hours! All of these updates will be happening later this month. Keep an eye on the Forge World Facebook page and sign up the newsletter to be the first to know when the changes come into effect. In the meantime, the website will still be fully functional as we prepare for these changes to come into effect. Yo a esas momias el problema que les veo es que si que parecen fuertes pero también parecen ágiles y rápidas; no tienen nada de pinta de movimiento 3 y agilidad 1.